We’ve loved Polarn O. Pyret‘s soft, simple 100 percent organic cotton basics for awhile. Now the Swedish children’s brand is expanding it’s ECO collection into recycled fleece for fall. 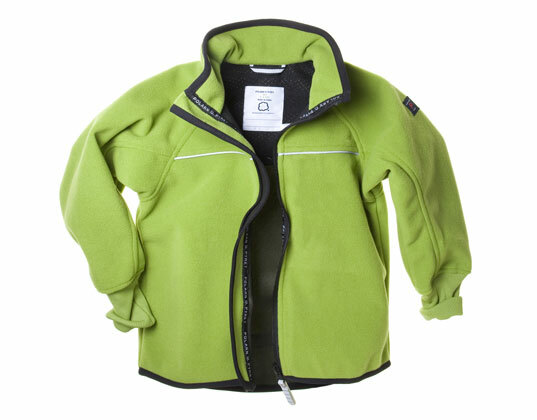 The warm tops and bottoms are made from PET bottles — 25 plastic bottles are used to make one Wind Fleece Jacket for example. 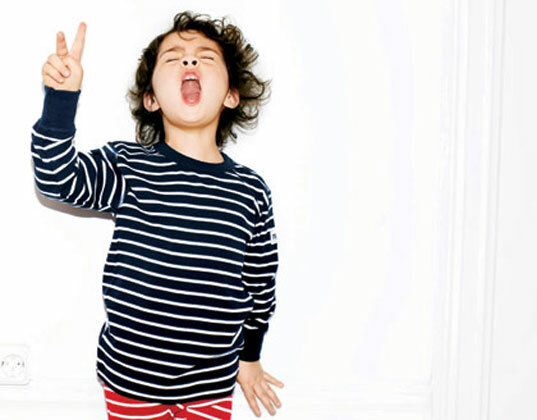 In the ECO collection, you’ll find vivid stripes and solids, as well as eye-catching images of nature — all pieces that can be mixed and matched or layered with stuff that’s already in your kid’s closet. Many of Polarn O. Pyret’s pieces are unisex allowing them to be worn by multiple children within your family and they’ll last long enough to be passed down to younger siblings. With a commitment to quality, functionality and great design, each piece of clothing is made with the philosophy that if it is good for the environment and our communities then it is good for our children and adults, too. Besides offering eco clothing for kids, each year, Polarn O. Pyret has a design contest for children called My.T. Children are asked to design their own image for an original t-shirt that represents the annual theme such as ‘circus’ or ‘save the world’. Once Polarn O. Pyret’s design team selects six winners, they produce a limited edition collection based on the winnings designs. Then a portion of the sales from the t shirts is given to a charitable organization. Previous recipients of the donations have been Clowns with Borders and Garissa – a girl’s home in Kenya. SO cool! I love love love recycled bottles into ANYTHING!!!!! I have always loved fleece but hated buying anything made from virgin plastics! This is great! We've loved Polarn O. Pyret's soft, simple 100 percent organic cotton basics for awhile. Now the Swedish children's brand is expanding it's ECO collection into recycled fleece for fall. The warm tops and bottoms are made from PET bottles -- 25 plastic bottles are used to make one Wind Fleece Jacket for example. In the ECO collection, you'll find vivid stripes and solids, as well as eye-catching images of nature -- all pieces that can be mixed and matched or layered with stuff that's already in your kid's closet.